Florida’s restaurant scene is overflowing with extra helpings of celebrity chefs. 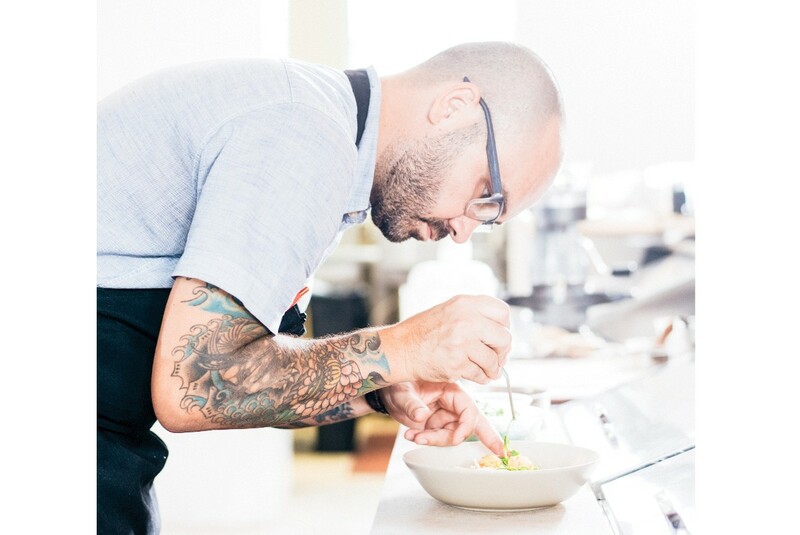 This summer, top Tampa chef Ferrell Alvarez, the genius behind the James Beard-touted Rooster & the Till in Tampa, put together his wildest creation yet. He turned a former mini mart on a gritty street in a neglected neighborhood into a bright, clean hipster hangout. His street food? Korean cheesesteak sandwiches, bloomin’ oyster mushrooms, Prosecco, picnic benches and courts for bocce and shuffleboard. The sign still says Nebraska Mini Mart. Another James Beard nominee, Jeannie Pierola, once of Bern’s Steak House and now Edison Food + Drink Lab, is revamping an old breakfast and lunch counter beloved for three-egg omelettes and patty melts. Injected with a million dollars and Pierola wit, it will be called Counter Culture. She’ll keep the stools but add cocktails, a wood-fired oven and her take on classic Americana. Both Alvarez and Pierola also took space downtown at a venue where the city’s most popular chefs operate stands in refashioned shipping containers. Alvarez is bringing extreme tacos (duck carnitas and butternut squash barbacoa); Pierola, Caesar salad with grilled octopus and updates on fish-shack seafood. Florida is eating more than street food, however. Step into farm-to-table Nutwood in little Winter Haven with its retro lightbulbs, house-made ricotta and porchetta. With Alsatian pinot blanc and $30 entrees, you might think you were in Miami. Chef Steven Rojas was in Miami (and Chicago, L.A. and Spain), in fact, before choosing quieter precincts where he can find persimmons on neighbors’ trees. In Jacksonville, meanwhile, big spenders head to the Cowford Chophouse, a century-old bank that has been splendidly restored. In Miami itself, the big money glam is on the luxurious Surf Club of the Four Seasons, where California icon Thomas Keller has made his Florida debut, and the Amalfi Coast elegance of Le Sirenuse has been installed. Miami is also enamored of smaller treats, from single-minded foodies such as Pink Pie, selling mini pies filled with everything from Nutella to bourbon bacon in Wynwood, to the sausages of Babe’s Meat & Counter. While homespun tastes for cupcakes, burgers and ice pops have new cachet, high-priced dining continues to be more powerful than ever — especially with the glitz and glam of celebrity chefs. Along with Keller in Miami, Wolfgang Puck has a new restaurant at Walt Disney World, as does Tony Mantuano of Spiaggia’s in Chicago. Voodoo Doughnut has brought its Portland vibe to Orlando. New York’s superstar Indian chef Hemant Mathur has installed his tandoor ovens and upscale Indian cuisine at Maska in midtown Miami. Bravo TV star Fabio Viviani has expanded his Florida presence from Miami to Tampa, and New Orleans’ Anne Kearney is also bringing her knives to Tampa. More are coming: New York’s Jean-Georges Vongerichten, who has three restaurants in Miami Beach, plans a Miami version of New York’s ABC Kitchen. José Andrés, behind three Miami locations, is bringing his signature Jaleo to Orlando. For pure celebrity, head to Jupiter, where the high end 1000 North was opened this year by Michael Jordan, golfer Ernie Els and the Wine Spectator’s Marvin Shanken. Less than a mile away is The Woods, owned by Els’ competitor, a Woods named Tiger. The most classic and celebrated cooking of France is spreading across Florida like warm Béarnaise. La Rue Bistronomie brought truffled brie and sweetbreads to Coconut Grove this year, joining in a recent wave of new French restaurants, including Le Zoo, Caviar Russe and La Petite Maison. In Naples, the Il Tulia crowd opened the French Brasserie Rustique.